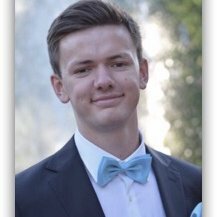 My name is Ludvig Saldh and I´m a Swedish citizen currently studying finance in America on an academic and athletic scholarship. I am currently a junior undergraduate student at Grand View University in Des Moines, Iowa, and I am pursuing a bachelor´s degree in Business Administrations with a concentration in Finance. I have a 4.0 GPA in my major courses and I´m also a member of the men´s varsity basketball team, which has taught me a lot of valuable lessons such as time management, teamwork, leadership and that it takes hard work to reach your goals. I´m an international student originally from Sweden and being immersed into a new culture has taught me how to handle new challenges and broaden my perspective. Being able to live in two different countries has allowed me to view the difference in business dynamics and apply what I have learned thus far in my education to global business practices which I believe would make a great asset to your company. My courses in finance, accounting, economics and management have given me a solid base upon which I plan to build my career on. These courses have enhanced my critical thinking, problem solving, and analytical skills while molding my ability to have imminent attention to quality.